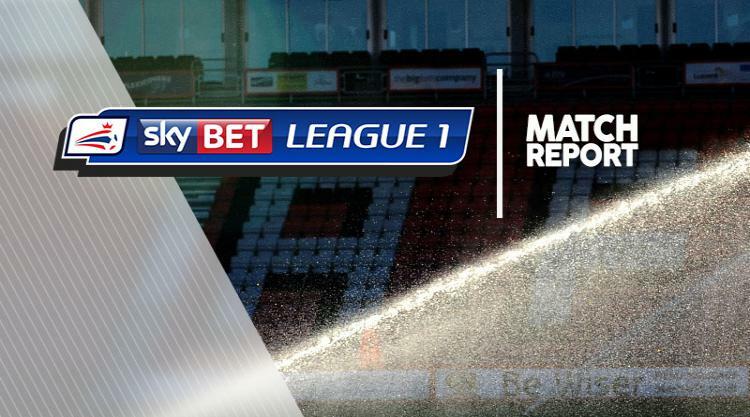 David Ball scored one and set up the other as Rotherham kept on the tails of League One's top six with a 2-1 win at Walsall. The Millers led inside a minute as Walsall failed to clear a free-kick and Ball squared across the face of the six-yard box for defender Semi Ajayi to tap home. Walsall, though, were quickly level as Luke Leahy's 12th-minute cross picked out Joe Edwards to bullet a header into the top corner from 10 yards. The Saddlers had a golden chance to go ahead in the 40th minute as Erhun Oztumer latched on to Daniel Agyei's through ball and cut inside a defender, only to roll a shot inches wide of Marek Rodak's near post. But it was Rotherham who regained the lead after 58 minutes as Ball bundled substitute Kieffer Moore's deflected header past Walsall goalkeeper Mark Gillespie from close range. Walsall could have levelled for a second time but substitute Simeon Jackson fluffed straight at Rodak from inside the six-yard box after an Ajayi error gifted him the ball.